How to Add Personal Stationery? 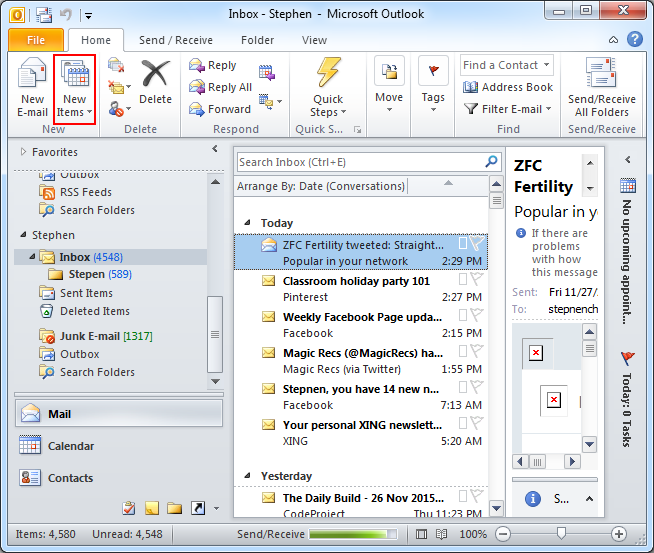 MS Outlook has this inbuilt facility of adding stationery or backgrounds to the email messages. 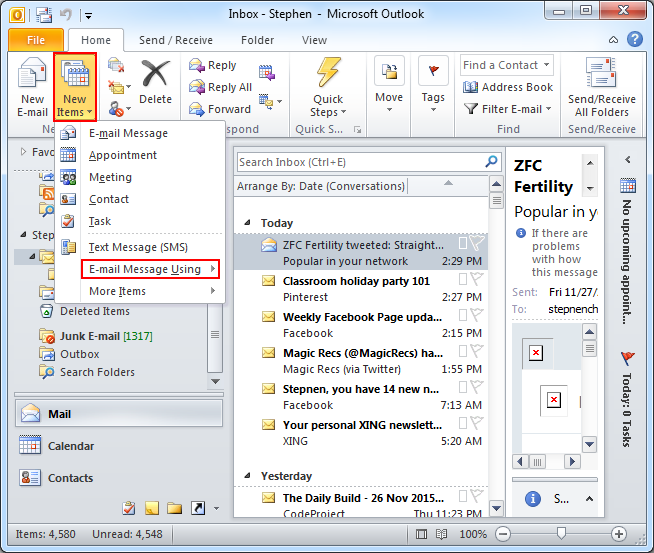 This facility is available in Outlook versions 2003 and onwards. Stationery usually includes backgrounds and patterns, which are applied to the email design. This includes different set of patterns with distinctive design elements and parameters like; effects, colors, fonts, bullets, etc. which can be applied to the email messages. Users also have provision to make their own personal stationery. 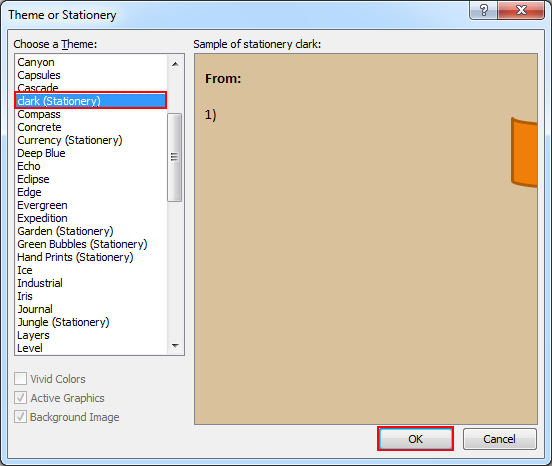 However, for this, users must know how to add personal stationery. Create a new message. This message can be discarded once the steps are completed. 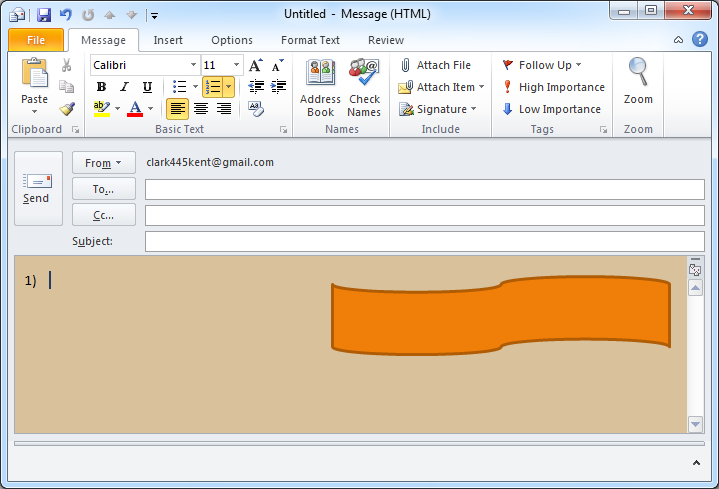 Customize this new message with needed fonts, background color, images, bullets, horizontal lines, etc. which you want to include in the new customized stationery. 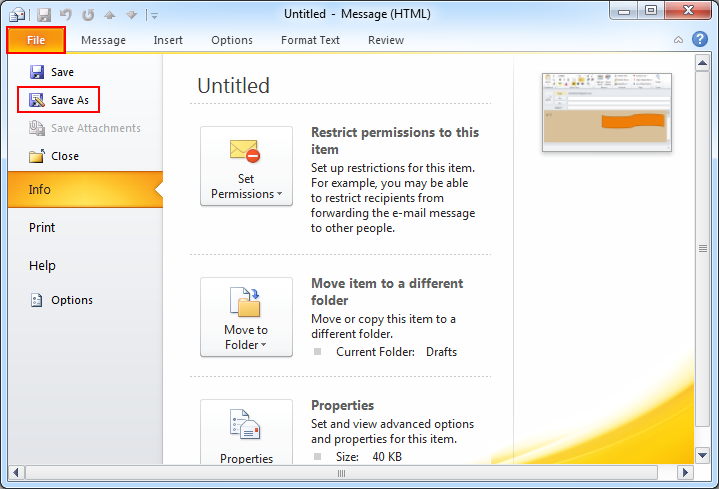 Now, in this message window, click File tab and select Save As option. 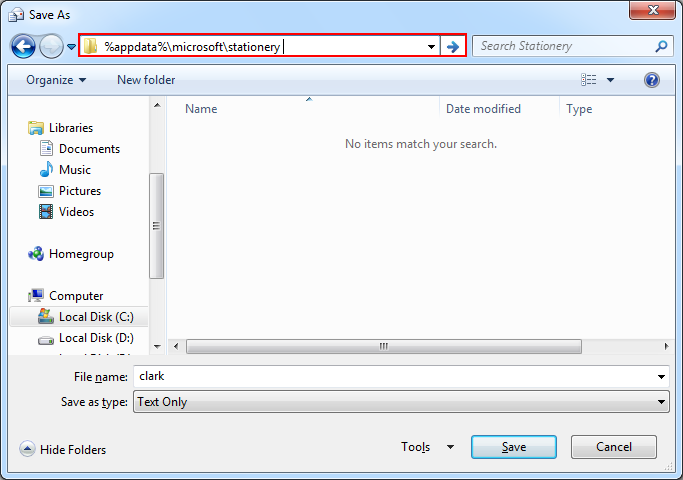 In this Save As dialog box address bar, enter: %appdata%\microsoft\stationery and then press Enter. In the File name box, provide the name for this customized stationery as it suits you. In the Save as type list, click on HTML and then click on Save. 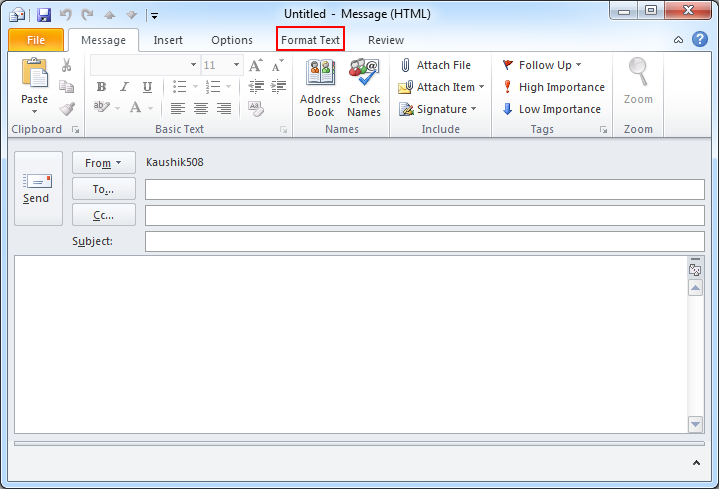 How to Change the Format to HTML of New Message? 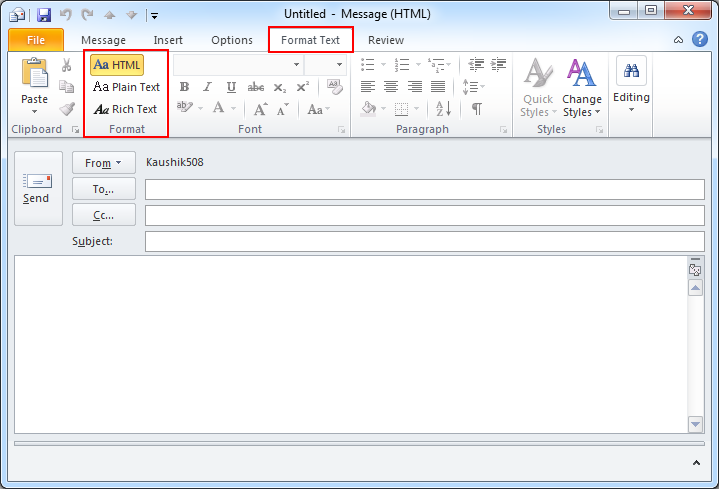 Since this process is applicable only if HTML is used as message format, it is important to change the format of message to HTML. The below mentioned steps can be followed in order to change the format. Click on New E-mail to open new message. After that click on Format Text option. Now you will choose HTML option from format options. How to Change the Format to HTML of All Messages? 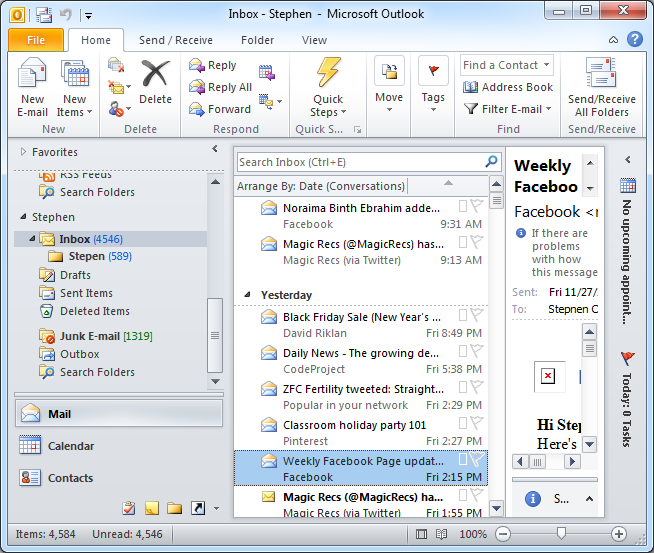 In MS Outlook application, click on File tab. Click on Options and then select Mail. 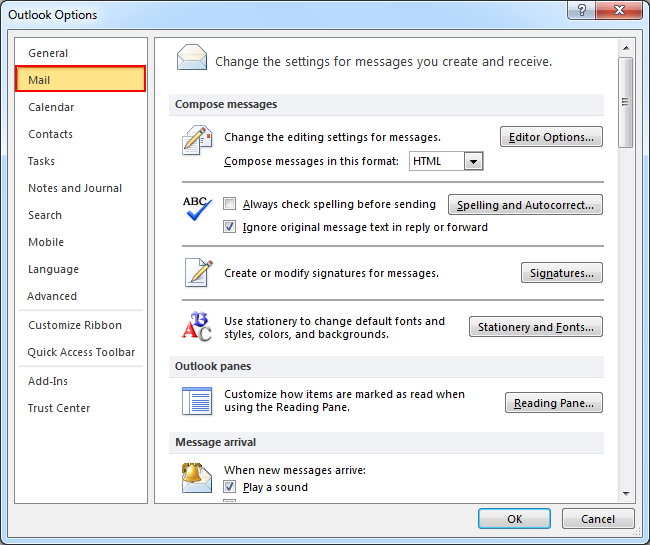 Again, under Compose messages>>Compose messages in this message format click HTML. 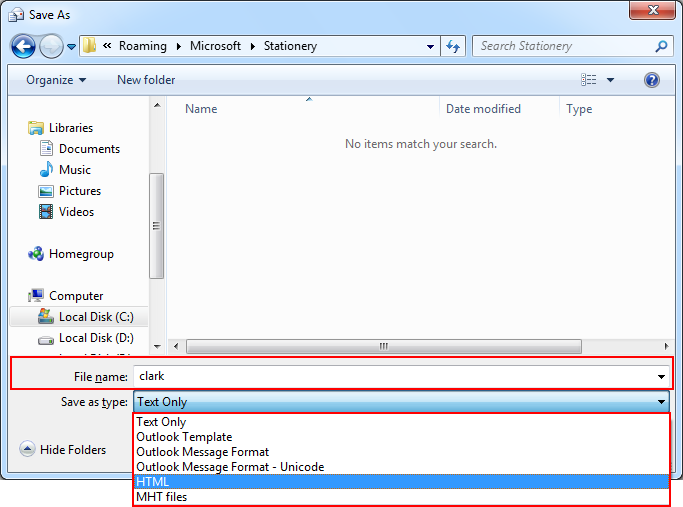 How to Call a New Email using Personal Stationery? Open Outlook and click on "New Items" under "Home" tab. 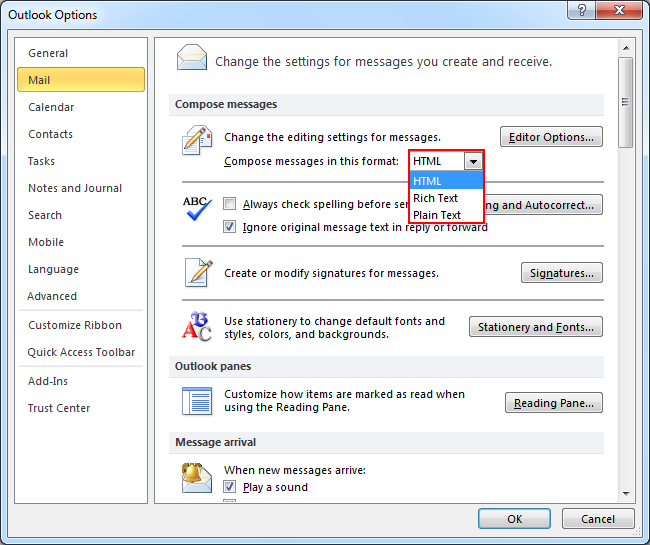 Select "E-mail Message Using" option from the drop-down list. 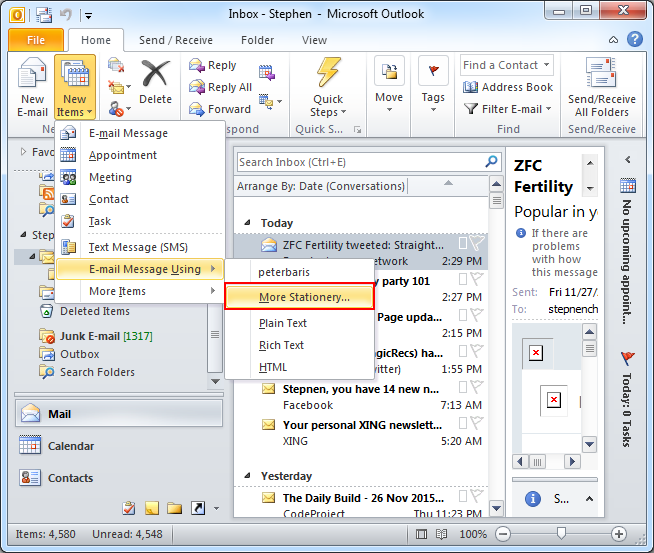 Now, click on "More Stationery" option and you will get a pop-up window on the screen with lists of Themes or Stationery. Choose your personal stationery, which you had created a couple of minutes ago and then click on "Ok" to bring it in action.